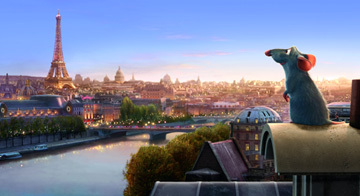 It's a fair bet at this point to say that Ratatouille is a shoo-in to win Best Animated Feature at the Academy Awards. The big story here is that Beowulf was snubbed in a big way, finding itself nominated for only one award - Production Design in an Animated Feature Production. Which is pretty shocking. I still think it will get nominated for an Oscar though, along with Ratatouille and Persepolis, but this snub is another chapter in the "is it or isn't it animated" feud between modernists and traditionalists.